“There’s heavy rain forecasted, right?” I asked the woman in the Hebel general store, a tiny village just over the Queensland border. “Will the road from here be alright?”. “Myself” I replied. “I’m travelling alone”. Well, it’s too late for that now, I thought as I walked out. I was already halfway into a 3000 kilometre solo road trip from Adelaide to Cairns via the New South Wales and Queensland outback. I’d already managed to navigate myself across two state borders, have a successful couchsurfing experience in the desert city of Broken Hill, managed to avoid a campsite’s resident creep in Cobar and survived Lightning Ridge without encountering any ice* addicts, apparently a big problem in the town (*I don’t mean addicts to frozen water – which is what I thought when I first came to Australia and heard this term. Ice here is crystal meth, which is sadly a big problem in the country). Could outback Queensland be any more dangerous? Truth be told, even though all of these situations had arose, none of them had really phased me. 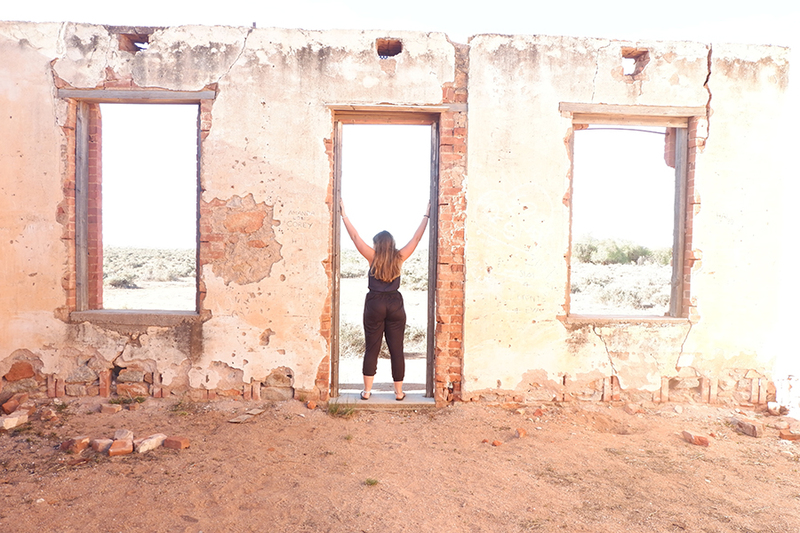 I carefully selected a couchsurfing host in Broken Hill who had great references and felt perfectly safe driving around with her and her eight year old daughter seeing the sites of the New South Wales outback. I’d heard about Cobar’s campsite creep from a kind older couple camped up next to me, who offered me not only use of their generator to charge my phone and tea and food, but also suggested that when dark I use their caravan toilet rather than walk around in the dark alone. And while Lightning Ridge sadly has a big ice and subsequent crime problem, I felt perfectly secure in the campsite I chose to stay in and had no problems driving around in the day. Yes, the outback (and the world) can seem like a scary place. 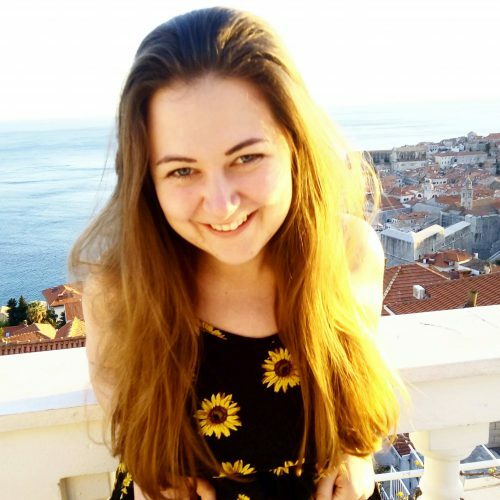 As soon as many people heard I was travelling on my own as foreign female, they jumped to alert me of the latest danger and advisories of the local area. Don’t get me wrong, I’m really grateful that people did tell me about these obstacles – it helped me a lot. But what it didn’t do was scare me. Because I was learning that, while dangers in the world obviously exist, with common sense a lot of these can be averted. And I can safely say that, during my solo road trip, I didn’t feel threatened by anyone I met one single bit. If you’re thinking of taking a solo road trip, do it. You’ll gain independence and confidence that you never thought possible, and you’ll no longer think that the sky – or the edge of civilisation – is the limit. 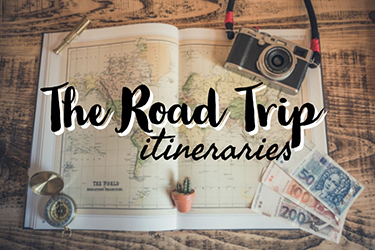 Whether your solo road trip is from Lands End to John O Groats in the UK, around Europe in a summer, or city hopping in the states – or if you absolutely lose the plot like I did and drive through the unpopulated Australian outback – it will be an experience like no other. Road tripping is the ultimate freedom – you are in charge of where you go and when you do it, and if you do this alone, the freedom is completely intensified. You only have yourself to answer to, you can get up when you want, drive as much as you like and see whatever you wish on the way. Are there any other circumstances where you are so little reliant on other people? This liberation will only make your confidence soar – it will make you realise that you are in control of your life. It won’t all be life-changing moments in great open spaces – sometimes, things break and go wrong. But when you are faced with these situations on your own, you are given the option to sink or swim – and you have to swim. Whether this comes in the form of a new way to open a tin or an ingenious method to stop your clothes getting wet, you’ll be forced to use the creative side of your brain to solve any problems. I think everyone should travel solo at least once in their life. It’s a way to really learn about and feel in tune with yourself, and meeting people is so much easier in this way. I’m not always the most social when I’m road tripping, but I still met some great people. They included a few road train drivers who I had dinner with, couchsurfing hosts who I learnt all about living in the outback from and retired Aussies on road trips around their country. If you wake up one morning and want to read for a couple of hours before taking off, you can. If you want to cover 600km in one day (disclaimer: take breaks and only drive to your capabilities), you also can. Going back to that liberation thing, taking a solo road trip means you can zoom through the surroundings, or take it chill and see everything possible on the way. It’s your trip, it’s completely up to you. Travelling with friends is great, but sometimes you’re chatting so much that you forget to see. 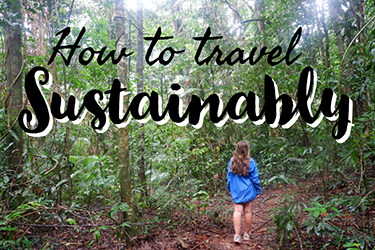 You have to see when you’re road tripping solo – it’s the only thing you can do. You’ll see the landscapes, see the animals, witness funny encounters in random towns – and you’ll fall in love with the world that way. Experiencing the raw beauty of planet earth alone helps you see things with fresh eyes and makes you realise how lucky we are to be here. While you may be tempted to go off grid completely for a week or so, it’s a good idea to at least have your phone with mobile signal on you. Whether that means making sure you buy a local SIM or ensuring that you stay in places with signal, make sure that you’ll be connected – at least wherever you stay each night. 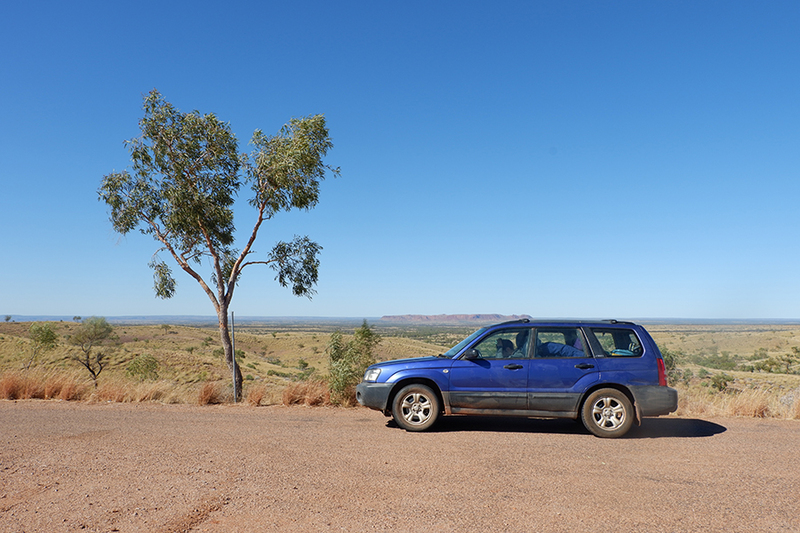 Australia Tip – if you’re road tripping in Australia, get a Telstra SIM. No other provider will give you the same amount of coverage. Google maps is great for this. Plot out your route, decide where you are going to stay each night and maybe even plan some pit stops. You won’t be overprepared – it’s a really good idea to know which roads you’ll be using and towns you’ll be going through. WikiCamps is a fantastic app to help you find free campsites. But make sure you check the reviews – they’ll often say whether the campsite feels safe or not, how busy it gets and what the facilities are like. I always made sure I stayed at campsites that were busy – often ones that were attached to a petrol station or a hotel so there were guaranteed to be people around. I know I said you can read for 2 hours, but try to get your driving done as early as possible. This means that if anything goes wrong, you’ll have the whole day to wait for help and it guarantees that you’ll arrive at your accommodation or campsite before dark.You can also take advantage of driver assists to make life on the road that little bit easier. This might not be so essential if you’re driving through places with actual shops, but if you’re driving solo through the outback, make sure you’ve got extra water, extra food and extra petrol. Especially the water!! 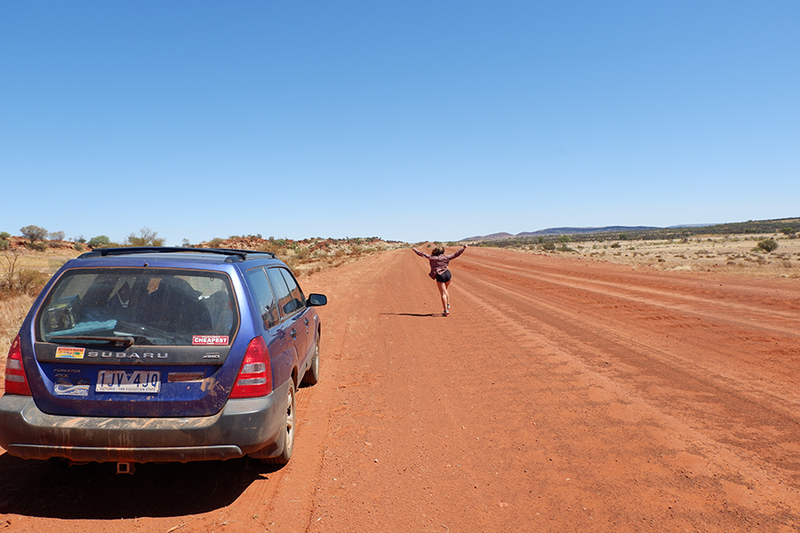 If you break down in the outback, it disappears quickly… (cue Inbetweeners in the outback scenes). Check out this gifts for campers list for some extra items. Fun fact: my car started suspiciously losing coolant while in the middle of outback Queensland. I did the not so wise thing and just kept topping it up until I got to Cairns… then a mechanic looked at it and said he didn’t know what the issue was, so carried on driving it and topping it up every day… until I reached Melbourne, about 4000 kms later. Not my wisest move, BUT if I hadn’t had coolant I would have been screwed. Oil and jump leads are great additions as well – and make sure you get your car serviced before you leave. 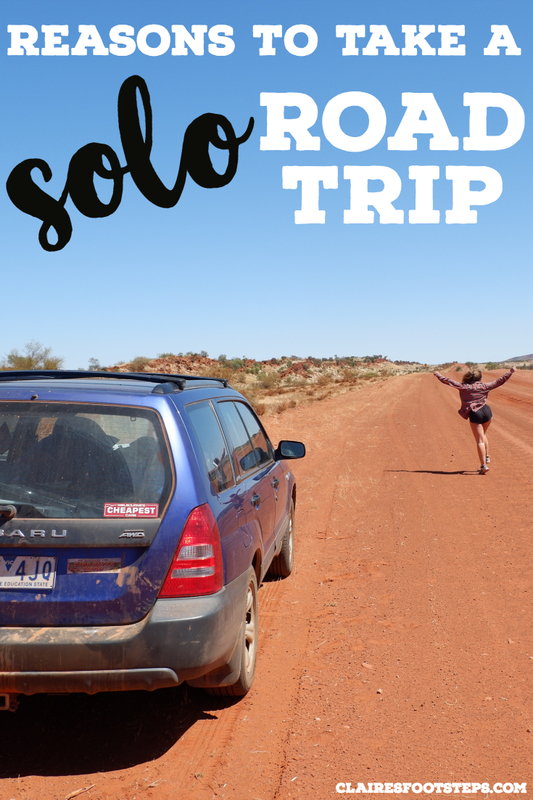 Solo road tripping is a fantastic way to learn about yourself. I reserved the evenings for writing or reading, and found that my creative juices were on absolute top form. You’ll learn to love the solitude and quietness of an outback evening, tucked up in your tent or car with a good book… heaven. Can I go back to the outback yet? I pulled up to a campsite one day and didn’t want to stay there. Not for any real reason, I just didn’t feel safe – so I drove 100km more to the next town. I don’t know whether it was secure, but my gut instinct was just telling me to get outta there. You can normally get a feel for whether things are safe or not – trust your instincts. 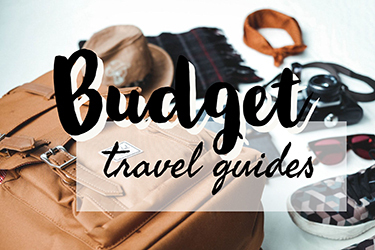 And there you have it – everything you’ll need to know about taking a solo road trip through Australia and anywhere else in the world. If I can do it so can you! Let’s go show the world how badass we are.